Is your customer service team measuring the right customer service metrics? If your answer is anything other than a confident yes, it’s time to make a change. Because if you’re not 100% confident you’re tracking customer service metrics that actually matter to your team, you’re missing out on the true value of measuring performance in the first place. Tracking your KPIs over time allows you to benchmark today’s performance against the past month, quarter, or year to see whether you’re moving in the right direction. However, if you’re not tracking the right metrics, it doesn’t matter how long you’ve been tracking or how much data you have – you still won’t be able to optimize the aspects of your team’s performance that matter. So, the real question that needs to be answered is how do you know which customer service metrics your team should be tracking? Finding any old customer service metrics to start tracking isn’t hard. There are literally hundreds to choose from, but only a select few are actually worth your energy and attention. Rather than prescribe to you which specific set of metrics you should track, we’re going to provide a framework that will make choosing your metrics much easier and straightforward. We’ll also talk about some of the most popular metrics for customer service teams – though there are plenty of other metrics you may want to consider. Your business and team are unique, so there’s no template for what to aim for or what to track. So, out of all the metrics you could track, how do you decide which ones make the most sense for your team to focus on? The answer depends on your company, your industry, your goals, and your brand’s customer service strategy. Certain metrics make sense for certain industries. Think about how your customers use and interact with your products or services. What types of service needs are associated with these customer experiences? For instance, do your customers value fast responses over detailed explanations? Data without context is meaningless. You should hone in on specific metrics that provide the information you need to excel. For example, if the primary goal is to cut down on customer wait times, then time to first response would be the most important metric for your team. However, if you’re trying to reduce the number of incoming tickets, wait times might not be very relevant. Instead, you should focus more on ticket volume and the number of repeat callers you receive. Your company is more than just the products or services you sell – it’s also your brand and what your brand stands for. What do customers expect of your brand? Are there any brand promises you need to fulfill? If there are core features that are central to your marketing or brand identity, prioritize metrics that ensure you’re meeting customer expectations in those specific arenas. Whatever KPIs you decide to track, make sure they cover core customer service activities and help you monitor your team’s strengths and weaknesses. Here are a few other tips to consider. Steer clear of vanity metrics: Rather than allowing your team to get distracted by less meaningful metrics, limit your focus to actionable KPIs that have a tangible impact on customer service performance. Zero in on customer service metrics that directly align with your business goals. Choose to track things your team can change and improve upon. Track rates instead of totals: Look for changes in performance (for better or for worse) over time, rather than focusing on the rolling total. It’s much more valuable to know how much you’ve improved relative to an earlier period than to try to wrap your head around the growing totals week over week. Be consistent in your tracking: Measuring customer service metrics isn’t a short-term investment – you need to keep at it if you want to uncover valuable insights. It’s not really relevant whether or not customer wait times are longer this afternoon than they were yesterday. However, it would be extremely important to know if average wait times had increased steadily over the past two months. Record raw, unedited data: Don’t guesstimate, round up, or otherwise fudge the numbers to make yourself look good or to give your agents a morale boost. Always record the true data so you have accurate information to reflect on. Practicing total transparency is also great for company culture, as it gives you an opportunity to discuss areas that need improvement and recognize top performers for a job well done. Keeping the tips discussed above in mind, choose a set of metrics that align with both your long-term and shorten business goals. To help you come up with a list of must-track KPIs, here’s a look at some of the most popular customer service metrics – and why you might want to start measuring them. This is simply the number of incoming tickets your customer service team receives – but don’t underestimate the value of tracking such a basic piece of information. The number of incoming requests can reveal quite a bit about your customer experience. Though you might assume a lower request volume is always better, it really depends on what else is happening at your company at a given time. For example, a high or growing number of tickets might be the result of an increasing customer base. However, if your request volume is increasing and you’re not gaining new customers, that’s a sign your product needs some work or you’re shipping new features too fast. As you track this metric over time, you’ll likely spot trends that will help you predict when call volume tends to be higher. This will make it easier to schedule your staff efficiently and ensure your team is always prepared to meet with increases in demand. This refers to the percentage of customer service issues that your reps resolve out of the total incoming requests. If your resolution rate is on the rise, your team is likely working more efficiency and resolving tickets more quickly. Unfortunately, it’s not always possible to keep up with a growing backlog of customer service requests. In this situation, your resolution rate would decrease until your team is able to catch up. Other factors that can affect your rate of resolution include the volume of incoming requests, how many agents are on the clock, and the complexity of your customers’ service needs. How quickly do your agents respond to a customer when they first contact your team? Tracking average time to first response tells you how long a customer typically waits for an initial response to their customer service request. That is, how long they have to wait on hold or in queue before they actually get through to an agent (or chatbot). A longer average time to first response is linked to customer frustration, lower satisfaction ratings, and a less-than-pleasant experience for everyone involved. Your customers deserve and expect fast answers and, if required, to be acknowledged by a member of your team. There are a few ways you can reduce your average time to first response – even during busy periods. For example, if an agent isn’t able to resolve a request immediately, they could ask for a callback number and reassure the customer that the team is working on a solution and will get back to them as soon as possible. You can also leverage support automation with chatbots to deliver near-immediate answers to customer questions. Also known as average resolution time, average handle time lets you know whether your customers are receiving quick, efficient service. Unlike average time to first response, this metric tracks the total time involved in handling a customer service request from start to finish. If, once you start tracking this metric, you find that your team is struggling to deliver timely replies, there are several ways you can shorten your average handle time. Ticket backlog refers to the number of customer service tickets that have yet to be handled. 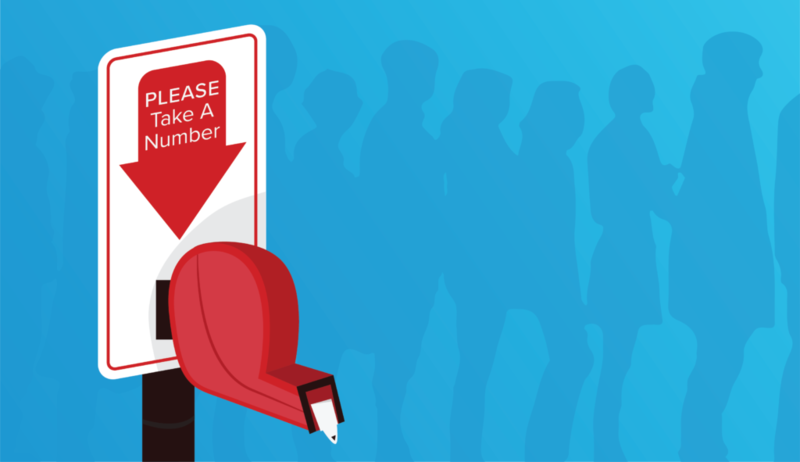 A growing ticket backlog can be caused by poor performance, scheduling issues (not having enough agents on duty), or an unexpected spike in tickets – perhaps related to product issues, a new release, or an influx of customers. You can further break down backlog into two separate metrics: current backlog and predicted backlog. Once you begin tracking your current backlog, determining your future backlog or predicted backlog is relatively easy. As you track backlog over time, you’ll accumulate tons of data that can be used to estimate how much backlog you can expect at a certain time or day of the week. Then, you can respond by adjusting customer service agent schedules to optimize efficiency. At Relay, we leverage built-in heatmaps that quickly and visually show you tickets created by day-of-week and hour-of-day. You can export this data into a report that details exactly how many agents you need by hour, based on the efficiency rate of each agent. 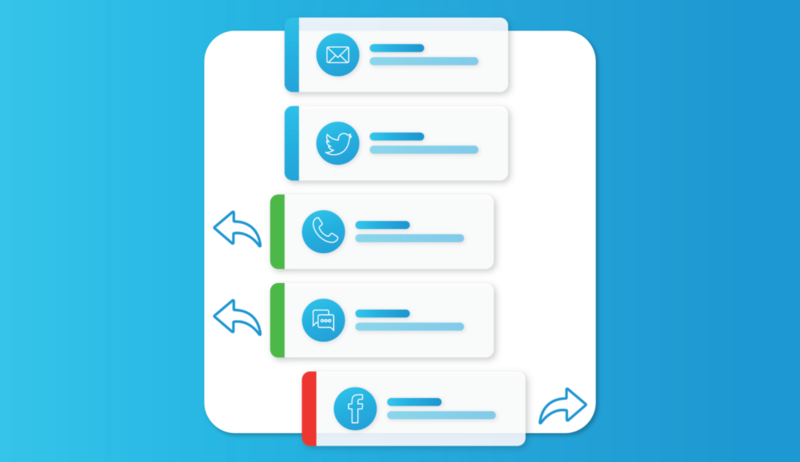 The fewer replies per request, the better, as it reduces the number of times a customer must explain their situation and the amount of time they spend waiting on hold. In an ideal world, you’d be able to offer first-contact resolution to all of your customers. However, not all customer service requests can be resolved by the first agent a customer speaks to. The average number of replies per request measures how many touchpoints are involved in resolving your typical customer service request. If you’re unable to reduce touchpoints to just one or two, you can use omnichannel support tools to ensure every agent has access to a customer’s service history. This provides your agents with an in-depth understanding of the situation without requiring the customer to explain their request every time they’re transferred. Regardless of your industry, company goals, or brand promises, the main purpose of your customer service team is to serve your customers. So, if your team’s not succeeding on that front, is unlikely any of your other performance metrics can save you. Rates of high customer satisfaction are associated with long-term customer loyalty, business growth, referrals, and increased revenue. Quantifying customer satisfaction gives you a better understanding of what your team is doing well and whether you’re meeting expectations. Plus, by pairing your customer satisfaction rating with other helpful metrics, you can fine-tune your customer service strategy even further. For instance, you might find customer satisfaction increases when average response time decreases; or you might discover that your customers don’t mind waiting a bit longer if it means they’ll get to speak to an agent who’s 100% knowledgeable about their situation. Join our list and you’ll get one email each month with most popular articles.